From strangers on the street, to your closest friends and family – even if you're not speaking, you're saying a lot with your body. Body Language explores the way we use our bodies to communicate, the way we hold ourselves, the way we sit, stand, and point our hands, feet and eyes can all reveal how we are feeling in any given situation. 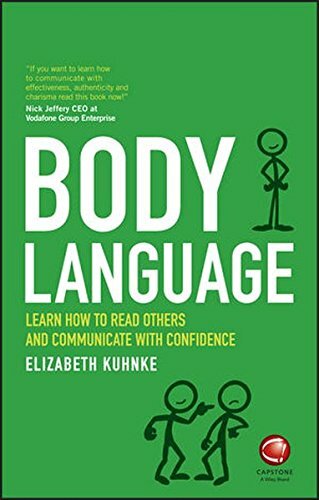 This book explores the body language we use in a wide-range of business and personal-life scenarios, from delivering a presentation at work to how you should act on a first date! Packed with images to clearly demonstrate each of the scenarios discussed, Body Language will help you understand the way others around you choose to communicate and also what you are saying with your own body. These valuable skills will improve your day to day communication, helping you to judge situations and understand how others around you are feeling. Tackle those important life events, such as interviews, first dates, important meetings and more! By Brand: Moody Press, U.S.